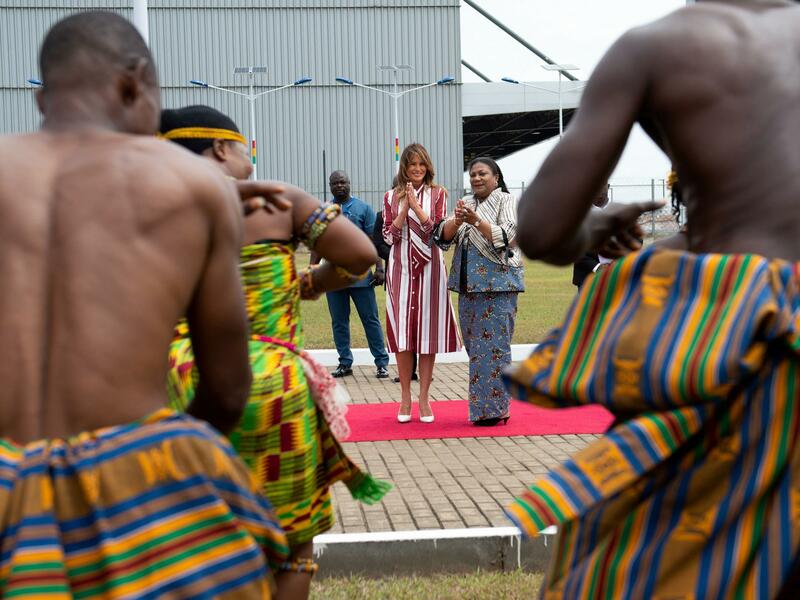 According to the pool report from New York Times reporter Katie Rogers, Trump accepted a bouquet of flowers wrapped in Kente cloth from an 8-year-old girl named Lillian Naa Adai Sai, "who looked rather starstruck as she gazed up at Mrs. Trump." 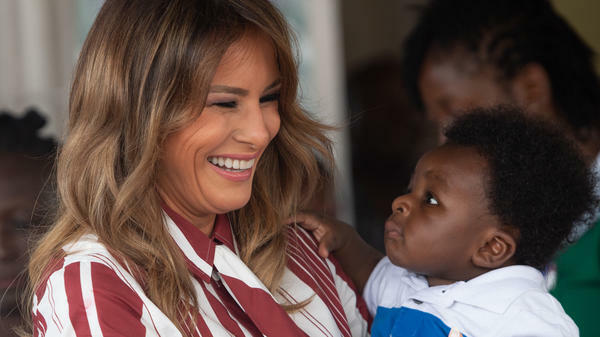 Much has been read into Trump's choice of Africa for her first overseas trip without the president, especially among those who imagine her every move to be one massive subtweet of President Trump. Earlier this year, Trump referred to to African nations as "s***hole countries" during closed-door meeting with senators about immigration.